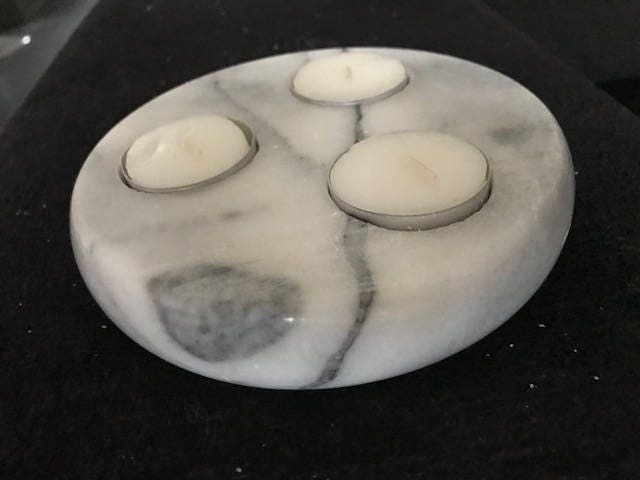 Beautiful vintage white/grey marble candle holder for 3 candles. 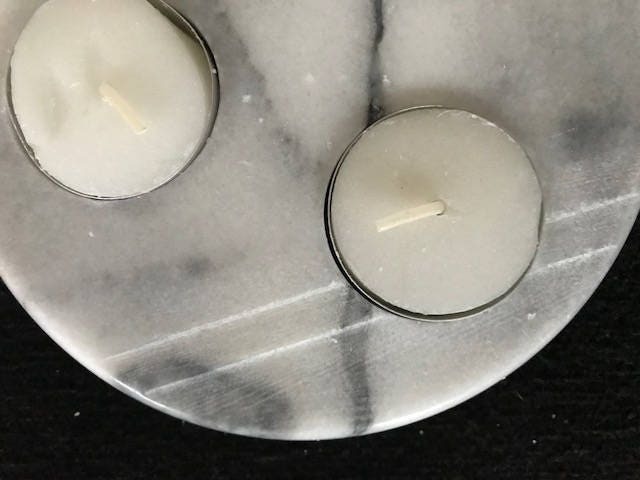 The holes for the candles has an average of 3,5 cm and depth of 2 cm. 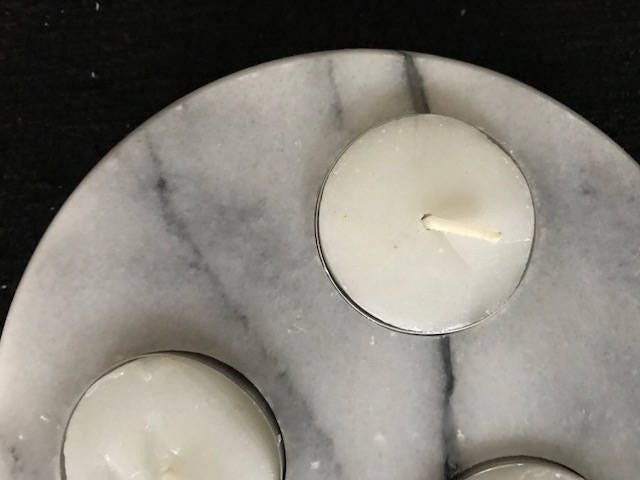 This candleholder has some little chips, but they are hardly visible. 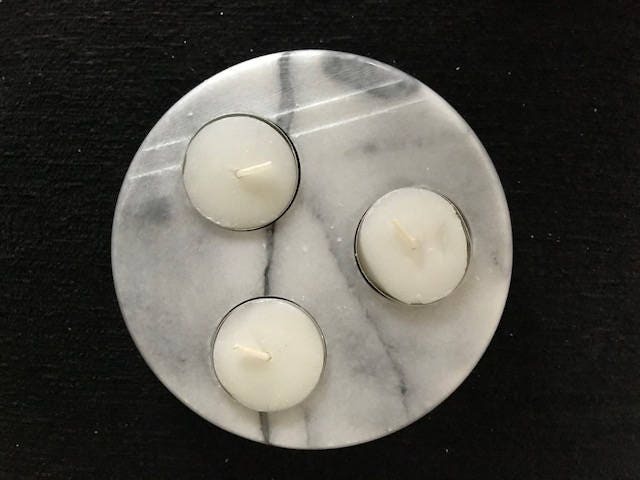 The candleholder will be packed carefully and shipped with track & trace. All purchases will include a little present. 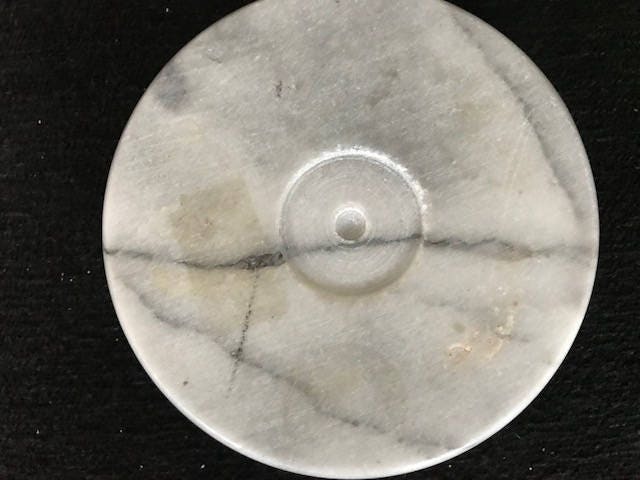 When you want to buy multiple items, please contact me so I can check the possibilities to reduce shipmentcosts.